See the difference for yourself. 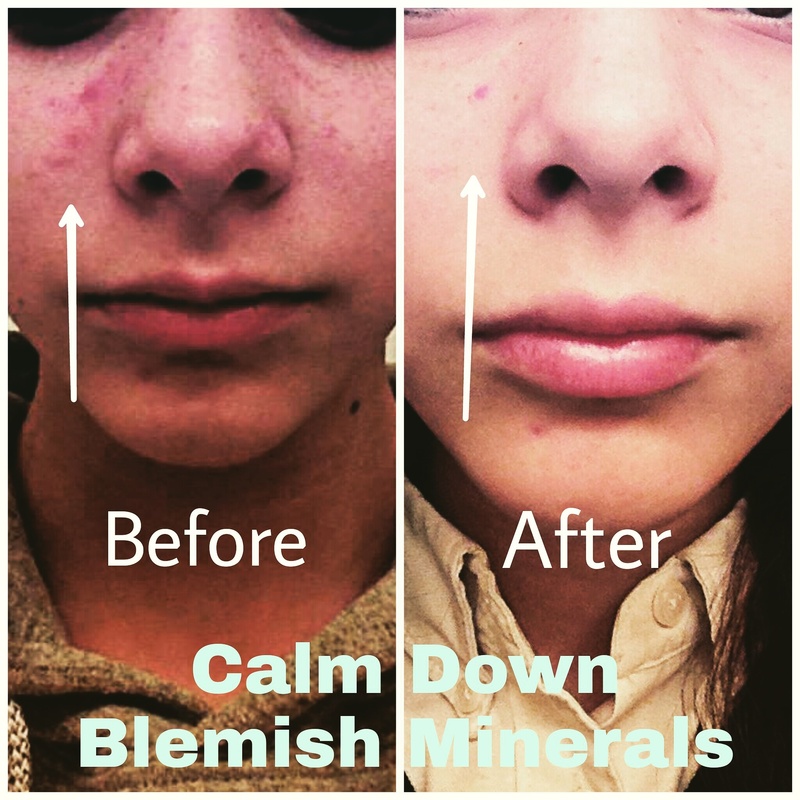 This client applied Calm Down™ Anti-Blemish Powder at 10pm. By 6am the next morning, her blemishes were noticeably less inflamed. Can be applied with clean fingers or a small cosmetic brush. Use our Deluxe Powder Buffer Brush to apply a light application over large inflamed areas. Rinse product off in the morning with an appropriate cleanser for your skin type. To increase product benefits, first ice the inflamed pimple for a few minutes, then apply Calm Down™ Anti-Blemish Powder. I cannot say enough good things about this product! All the Priia products to be honest. I have suffered with severe inflammation on my face for a very long time. I was highly skeptical when I first ordered this product, but I was willing to give it a chance. OMG I am so glad that I did! Within the first few uses, I could see the impact it was having on my inflammation. I recommend this one to almost anyone who has the same problem. I have a soft bristled brush that I use at night to apply a light layer over the areas that I have trouble with and in the morning the redness is gone. If it's a bad one, I will ice it first and then apply calm down. I keep this on hand at all times. Works on bug bites too! I purchased this powder for my daughter to use when she gets an occasional pimple. It works wonders for pimples but it also works on bug bites! After a weekend of camping and using bug spray we still had a lot of bug bites. I decided to give the Calm Down powder a try on them and wow, it really worked! The redness went way down and there was much less itching. The bug bites cleared up a lot faster too. This stuff is really wonderful and little goes a long way! I am obsessed with this stuff... my skin has never been so consistently clear in my life! I admit I also recently made some lifestyle changes as well (cutting out processed sugar ... it's a big one!) ... but I have done that before and haven't seen this kind of result ... AMAZING! Thank you so much!